Minimum Wage: NLC accuses FG of delaying set up of tripartite committee – Royal Times of Nigeria. 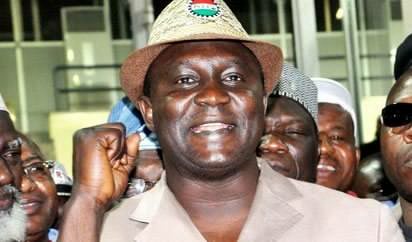 The Nigeria Labour Congress (NLC) president Mr Ayuba Wabba at the 4th NLC National Gender Conference and Election of the Leadership of National Women Commission on Wednesday in Abuja accused the Federal Government of employing delay tactics in constituting a tripartite committee to negotiate the new minimum wage for Nigerian workers. Ayuba said; “The current administration is dragging its feet in constituting a tripartite committee to negotiate a new minimum wage. “Against the background of the harsh economic times and the impact on the working people, we cannot wait indefinitely for government to respond at its own time. “Though, we have been told by the administration that the panel will be constituted, we enjoin the government to urgently sort out whatever constraint it is facing.